Golf’s governing bodies have relaxed rules regarding wind, hole-in-one prizes, contracts, late starts and more. 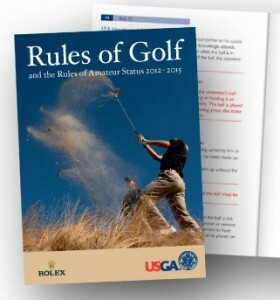 The United States Golf Association (USGA) and the R&A have announced the publication of the new Rules of Golf for 2012-15. In addition, the definition of addressing the ball was revised to mean “simply … grounding his club immediately in front of or behind the ball, regardless of whether or not he has taken his stance.” Before, the address position required a player to be stood over the ball with the club grounded. Other changes were aimed specifically at amateur players. 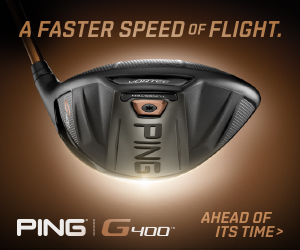 Amateur golfers all over the world now will be allowed to play for unlimited hole-in-one prizes. Previously, the rules allowed for amateurs to receive only small prizes, and that accepting something of greater value would force golfers to forfeit their amateur status. In one high-profile instance, Derek Lawrenson, a golf writer for The Daily Mail newspaper in London, won a Lamborghini but had to surrender his amateur status. In addition, the new Rules of Amateur Status include changes for elite amateur golfers aimed at easing the move from amateur to professional. It follows a far-reaching four-year review of amateurism in golf, which even questioned the need for a set of rules and has resulted in the first-ever uniform worldwide code for amateur status. “We felt the time was right to carry out a fundamental review of the Rules of Amateur Status,” said R&A Director of Rules David Rickman. “We were conscious that many sports had done away with amateur status rules and we felt that was an appropriate question for us to ask. Excluding hole-in-one prizes from the general prize limit and allowing high-value prizes, including cash, to be awarded brings the R&A into line with the USGA. Also under the new rules aimed at amateurs thinking of a professional career, players will now be able to enter into an agreement with an agent or sponsor as long as they do not receive any financial gain while still an amateur. Rules have also been relaxed on subsistence payments paid through national golf unions. England’s Tom Lewis, who won recently won the Portugal Masters in just his third pro start at age 20, is a supporter of that change. One Response to "USGA and R&A announce changes to Rules of Golf for 2012-2015"